Meal prep starts with this 4-piece kitchen set! With three knives and a peeler included, no meat or veggie can withstand the simplicity and power of these kitchen utensils! 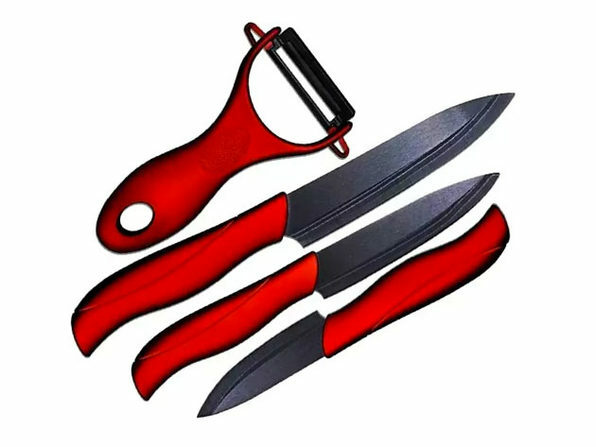 Made with sturdy ceramic blades, this set includes a paring knife, utility knife, slicing knife, and a peeler to take care of any cooking prep you need.